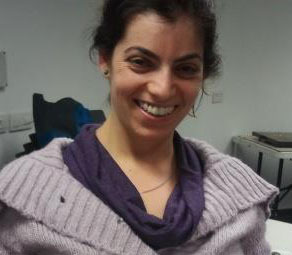 Carmit Madar, our guest poster this week is Shutaf’s Teen Coordinator. Read some of her thoughts about her work at Shutaf. I just got back from my Thursday afternoon’s work at Shutaf’s youth group and later in the evening Shutaf’s young leadership (madatsim) program. This week the madatsim teens and staff went out to volunteer – give back to the community with love – packing up boxes of food for needy families. It was wonderful to see the madatsim moving around the room, sorting and packing boxes with huge smiles on their faces and joy in their hearts! Wow! Nearly six months have passed since the summer. I was an art therapy student looking for a summer job when I got a job working at Shutaf’s summer camp last year. I had heard about Shutaf from Eve Wettstein, Shutaf’s first program director, and sent an inquiry to Deb Lobel, the program director who took over from Eve. What a small world – “a friend brings a friend” (Shutaf travels via word of mouth). These are the central themes of Shutaf : inclusion and community where we all need each other, doing for one another and receiving strength and inspiration to continue to give with love.